Every 67 seconds someone in the United States develops Alzheimer’s disease. 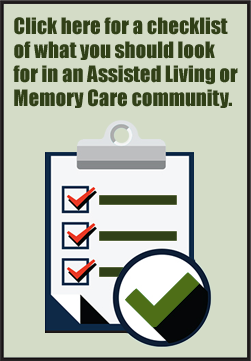 For this reason, memory care is becoming a vital service offered by senior living communities around the country. Located in Muskego just outside of Milwaukee, Tudor Oaks offers a specialized Alzheimer’s and dementia care program for those seniors experiencing memory loss and the associated concerns due to Alzheimer’s disease or diagnosed dementia. We offer specially-designed memory care apartments that are comfortable and appealing, open common areas with thoughtful layout complimented by subtle colors and textures. You’ll find our memory care center spaces bright and inviting to encourage participation and engagement. In addition, we offer a broad variety of activities and common spaces developed specifically for dementia care residents, including our memory garden, which supports a sense of contentment gained from enjoying the outdoors. Every detail has been considered to encourage our residents’ independence while meeting their specific needs. Our specially-trained and supportive memory care staff understands the concerns families face when loved ones begin displaying some of the telltale signs of Alzheimer’s or dementia, like losing track of time and place or changes in personality and mood. We recognize the challenges associated with Alzheimer’s caregiving, and can provide your loved one with the individualized memory care they need, ultimately providing you with peace of mind in knowing that he or she is safe and enjoying the highest quality of life possible. Our personalized dementia care plans are designed around the “whole person” philosophy. The plans include a wellness component and incorporates an emotional, spiritual, social, and physical aspect. At Tudor Oaks memory care center, you can be assured your love one is safe, comfortable and living to his or her greatest potential. We welcome you to view our thoughtfully-designed memory care floor plans, or come for a guided tour of our memory care center. Please call 414-529-0100 to learn more or to schedule a tour.